Benjamin Allston was a Episcopal clergyman and colonel, C. S. Army. He was born February 26, 1833, in Charleston, South Carolina, the son of Robert Francis Withers and Adele (Petigru) Allston, His father was a native of Georgetown District, South Carolina, graduate of West Point military academy in 1821, surveyor general of South Carolina and governor of that State, 1856-57; member of the lower house of South Carolina, 1828; and member of the senate in 1832. Benjamin was the grandson of Benjamin and Charlotte Anne (Allston) Allston; great-grandson of William and Sabina (Atchinson) Allston, and of Capt. William and Anne (Simons) Allston, of South Carolina; great-great-grandson of Benjamin Simons, commanding general of South Carolina in 1769, of William and Esther (LaBruce) Allston, the former collector of customs for Georgetown, S. C., 1843-44, and of John and Deborah Allston, planter of English descent of Craven County, Parish o Prince George, S. C.; great-great-great-grandson of Dr. Joseph and Esther (Robins) LaBruce de Margeouf, of Bretagne, France. Rev. 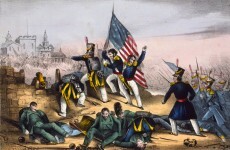 Mr. Allston entered West Point military academy at the age of sixteen and graduated June 1853. He was assigned to the cavalry corps, served as lieutenant on a Trans-Mississippi expedition; resigned in April 1858, and engaged in rice planting. 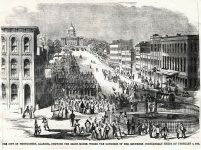 At the beginning of the War of Secession he raised a company of cavalry; reported in Richmond; commissioned major of the 19th Mississippi infantry regiment; served as colonel of the 4th Alabama infantry regiment, while Colonel Law was recovering from wounds; appointed lieutenant colonel and sent to East Tennessee where he was wounded; transferred in January, 1863, to the Trans-Mississippi department as inspector general for General Kirby Smith and continued in this capacity as well as chief of the secret service, until the surrender. After the war he again became a planter; was a lay-reader of Plantersville, S. C.; took the order of deacon; began the study of theology and was later ordained. He served the following churches in South Carolina: Prince Frederick, Prince George, Winyah, Georgetown, Union, and Winnsboro. He married on February 25, 1864, Ellen Stanley Robinson, of Texas. Benjamin married 2nd Louise J. North on June 8, 1882 St. Phillips Parish, Charleston, SC. 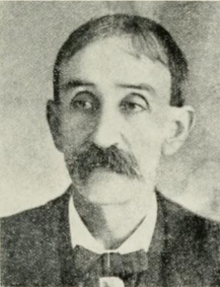 Robert Francis Withers Allston, Jr. (b. Nov. 14, 1873) m. M. E. Beatrice Holmes, of Tryon, N. C.
Rev. 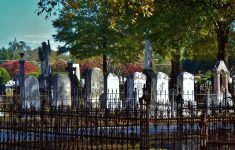 Alston died January 15, 1900, in Winnsboro, South Carolina and is buried at Saint John’s Episcopal Cemetery in Winnsboro. His wife passed away July 12, 1875, in Austin, Texas and is buried in Oakwood Cemetery in Austin.